Sleeping in separate beds is commonly thought of as a signifier of a troubled relationship, some experts say it could lead to a better night sleep for couples sharing a mattress. 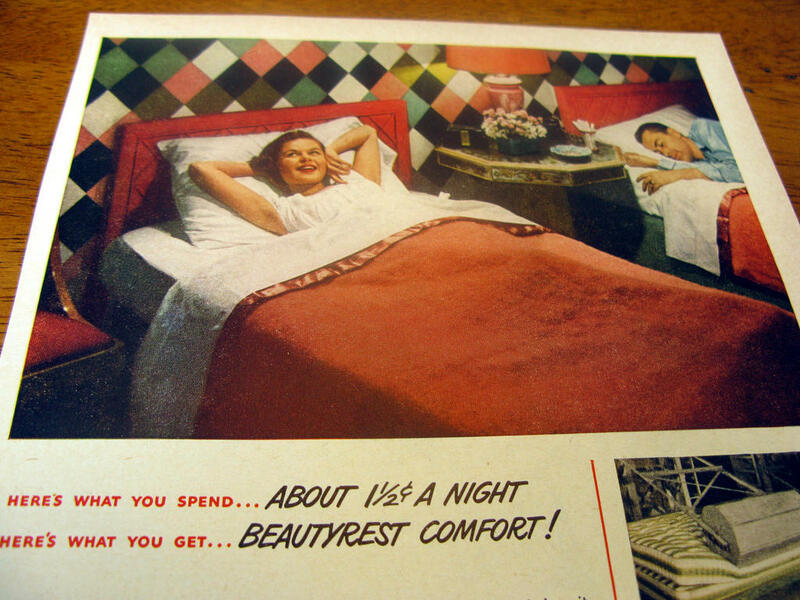 While Lucy and Ricky Ricardo were filmed sleeping in separate twin beds back in the 1950s, not sharing a mattress is seen as a sign of a troubled marriage. On this edition of River to River, host Ben Kieffer talks with sleep doctor, Dr. Eric Dyken of the University of Iowa Sleep Disorders Center, fielding several questions about the benefits and drawbacks to sharing a room with a sleeping partner. They also discuss some of the latest sleep research, including a brain circuit discovery for insomniacs, how gene changes in an aging brain affects one's circadian rhythm, and new research on the dangers of giving melatonin to aid sleep for young children. 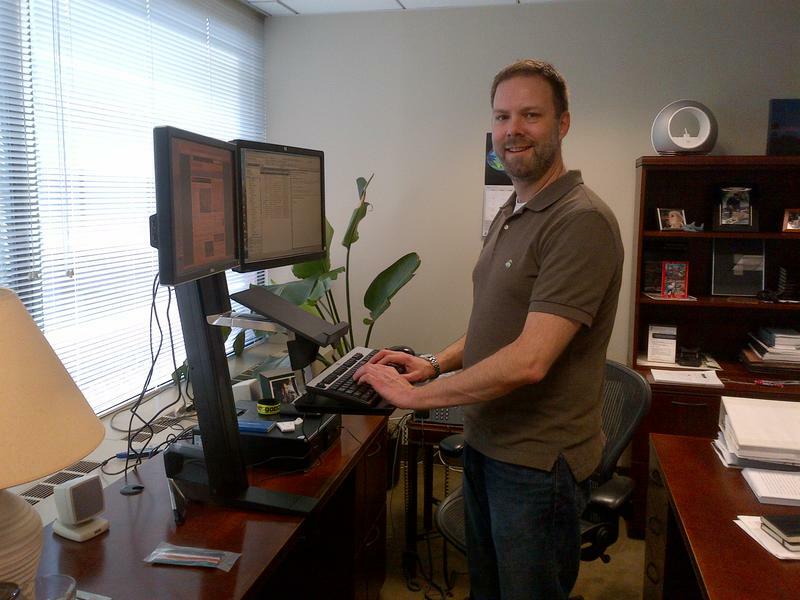 It might not help you burn off that large Thanksgiving meal, but a new study from the University of Iowa says people who use desks designing for sitting and standing at work do burn about 87 more calories a day, compared to coworkers who only sit. Kids on Hawk-I, Iowa’s Medicaid program for low income children, are receiving new insurance cards in the mail. But they might not put them to much use, since Iowa’s Medicaid program is scheduled to go into privatized management on March 1. Initially the transition to privatization was scheduled for New Year’s Day. In anticipation of this date, insurer Wellmark scaled back its Hawk-I resources; but now the transition is scheduled for March so Wellmark’s Hawk-I contracts need a new home. 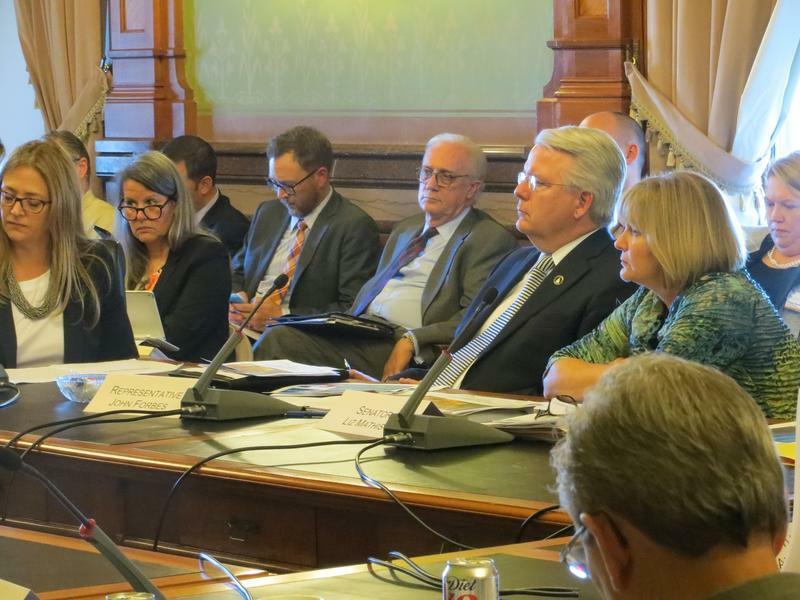 A statehouse committee spent the day Tuesday hearing about what’s being called a massive change in how health care in Iowa is delivered to the poor and disabled. Private companies are scheduled to take over management of the state-federal health care program known as Medicaid which serves more than 560-thousand Iowans. Critics worry about the effect on the state’s most vulnerable populations.